Good morning and welcome to a new day on the ~ A Piece of Cake ~ Book Tour! Peta Peace lives in Australia but we became online friends a few years ago and then finally met in person at the Spring 2016 Quilt Market in Salt Lake City. 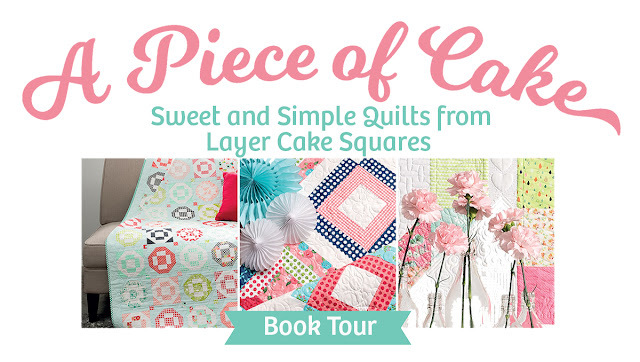 I am so happy that Peta asked me to be a part of her book tour! She is so sweet, positive, thoughtful and extremely talented! She really cheered me on when I wrote my book, Vintage Vibe a few years ago so I couldn't be happier that she has embarked on the author journey, herself! 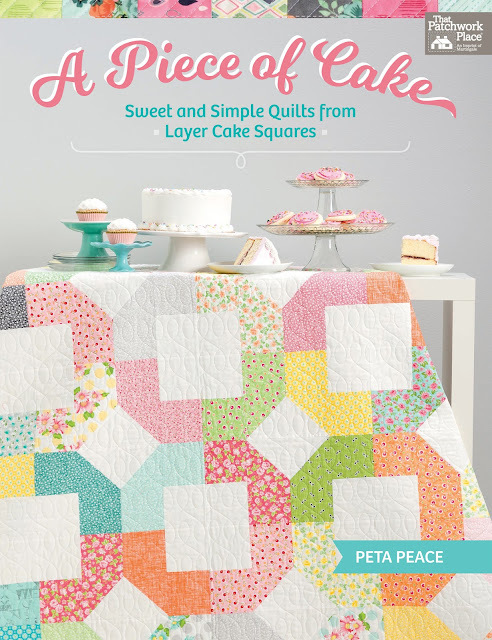 As you can probably tell from the front cover, A Piece of Cake is a beautiful book featuring 14 fresh, happy projects made from Layer Cake squares. I can attest that the instructions are clear and there are several projects inside that I would LOVE to make! There are so many cute projects inside that I decided to "test out" several of the projects by making a block or two or three of each! Now, I'm kind of going through a blue phase right now so I decided to make blocks that I can eventually put into a sampler of some kind. 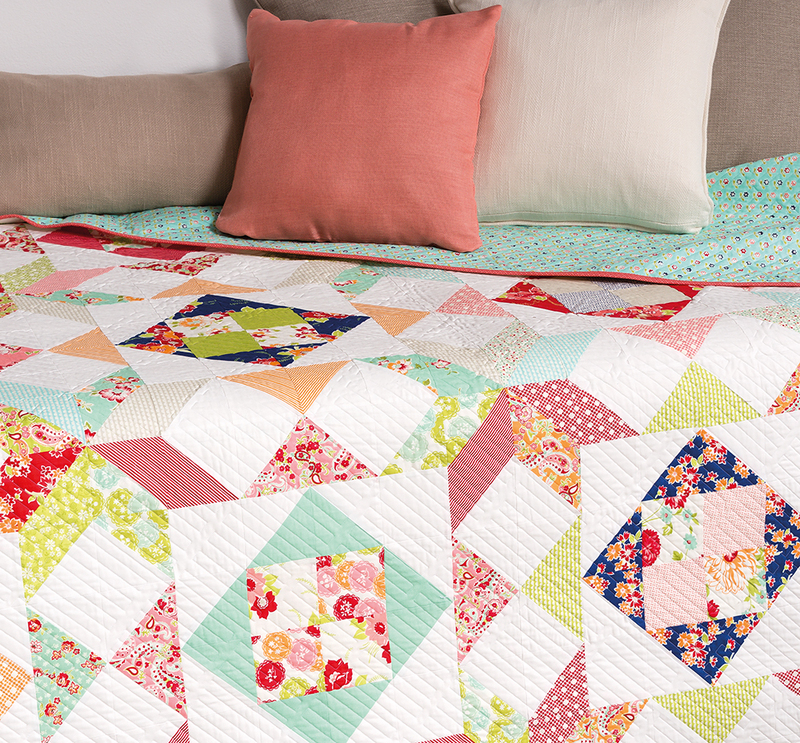 But using these more traditional blues really puts a different spin on Peta's version of these blocks. 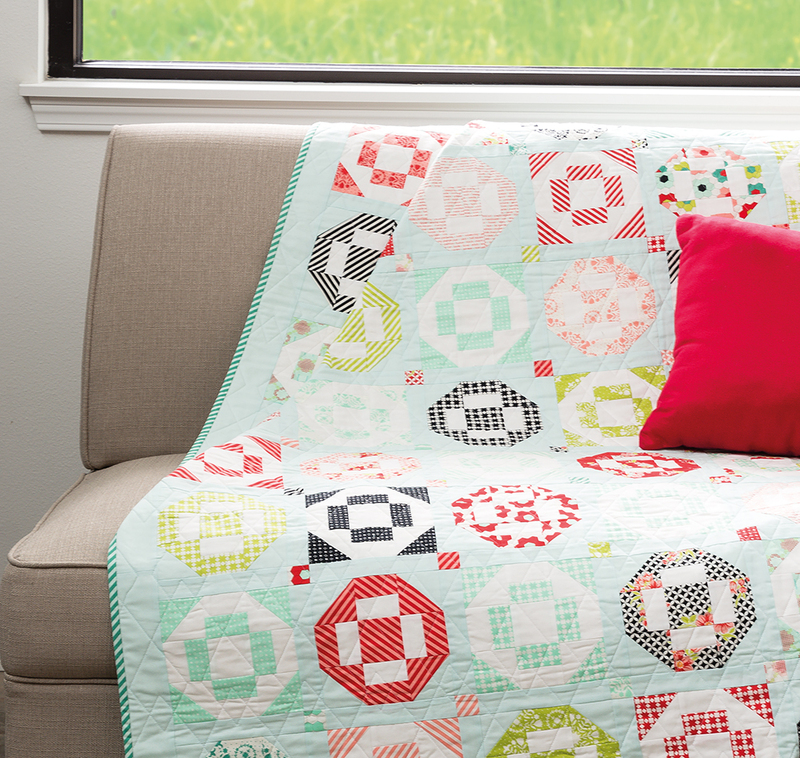 I want to show you both versions so you can see how different the quilts can feel depending on the colors you use! It's such a clever block! I just love Peta's version called Delight. I also made a few blocks from her pattern, The Simplest Sampler. Again, a super cute version by Peta! I love her aqua background! 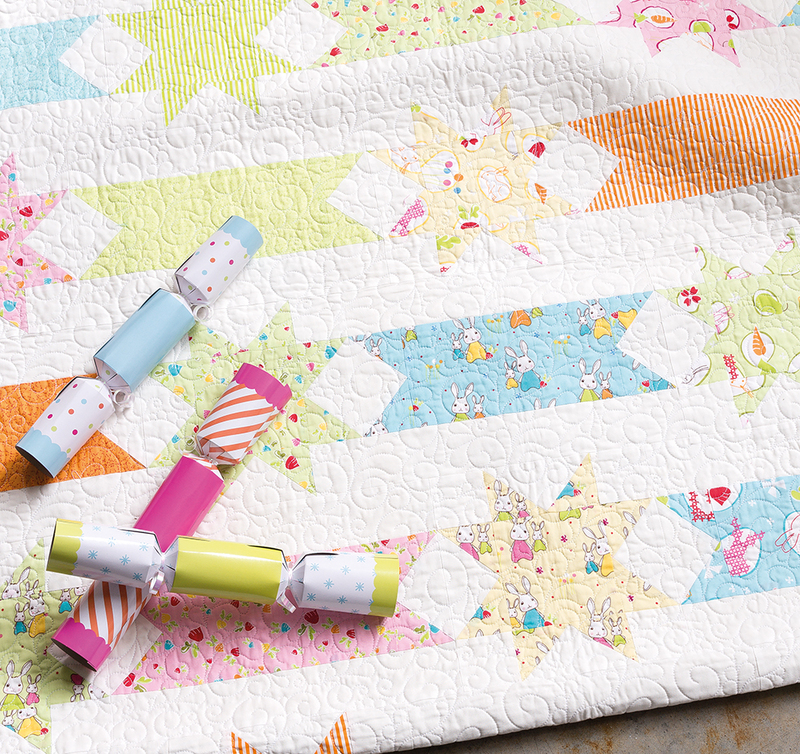 Her Confetti pattern is so darling too! The stars in Confetti really called to me so I made a couple of those. Gosh, all of my stuff is looking so boring next to Peta's sweet, happy versions! 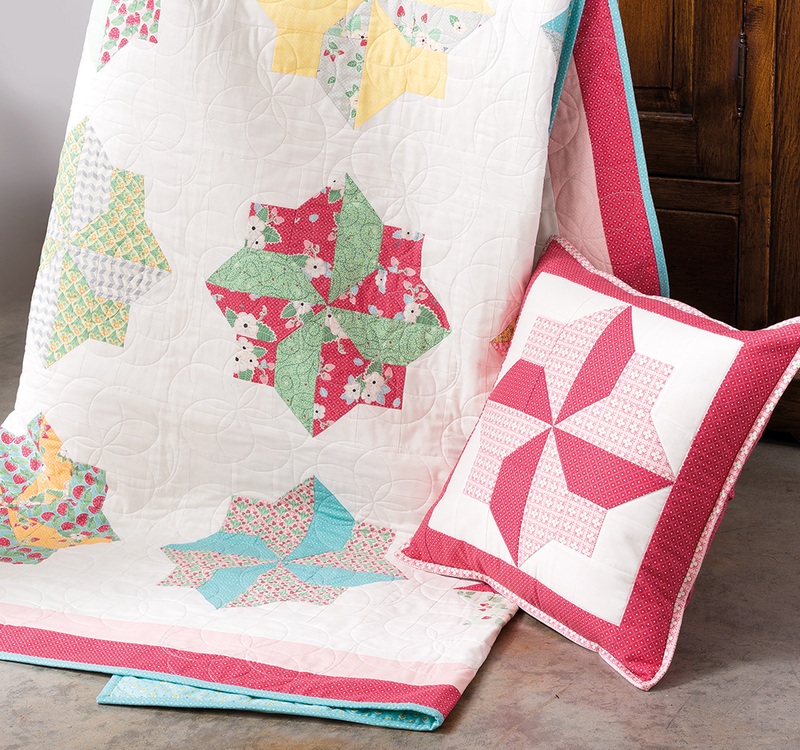 And finally, I made one block from her pattern called Spin. The Spin block is such a unique block. I haven't ever seen or made one like it before! I can't wait to make some more blue blocks for my blue sampler. Every time I get the itch to make or design a new block I am going to make it in blues (until I have enough for a big quilt!) I'll keep you posted...it may take a while though! Be sure to stop by as many as you can for lots of inspiration and eye candy! Congratulations again to Peta on creating a wonderful book! It is definitely a "must-have"! Looks like a great book, love the one on the cover!